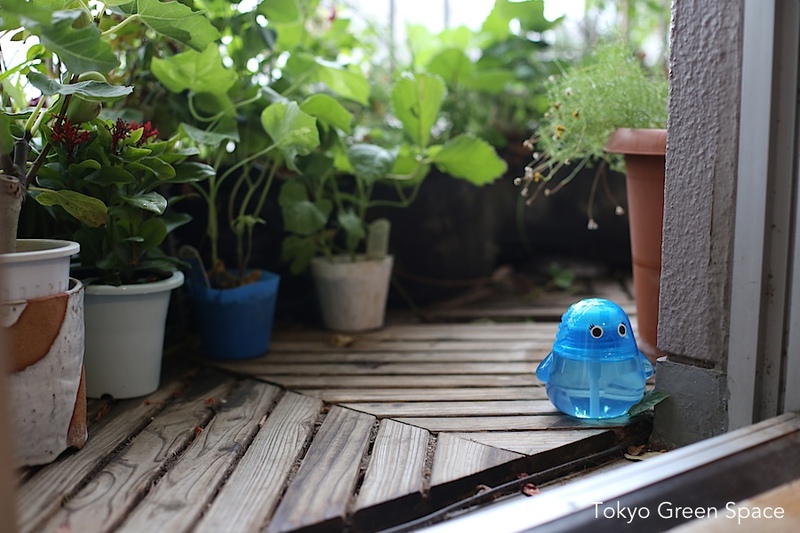 My husband Shu Kuge‘s 8 page comic about our Tokyo balcony just got published. 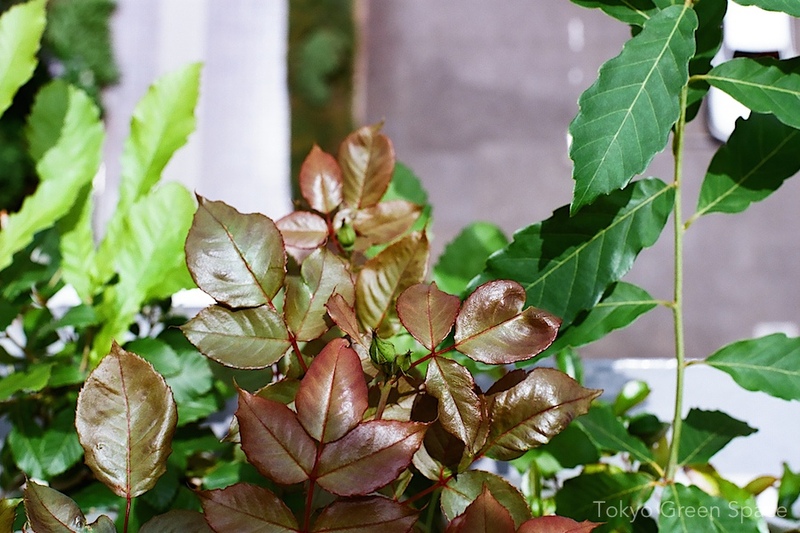 I am thrilled that our tiny garden measuring 1 by 5 meters, often featured in this blog, inspired Shu’s story about life in Tokyo today. Shu’s creativity and perspective always amaze me. The inimitable drawer Luis Mendo invited Shu to participate in a special issue of architecture magazine MAS Context devoted to Tokyo and illustrators. It was Luis who suggested using our balcony as the focus of Shu’s story. If you stick your head over the balcony rail, and look down, . . . The garden grows away from the apartment and to the light. One way to enjoy it is by looking over the rail. It looks like a conventional garden border, this one of rose and oak, but in an unfamiliar position. 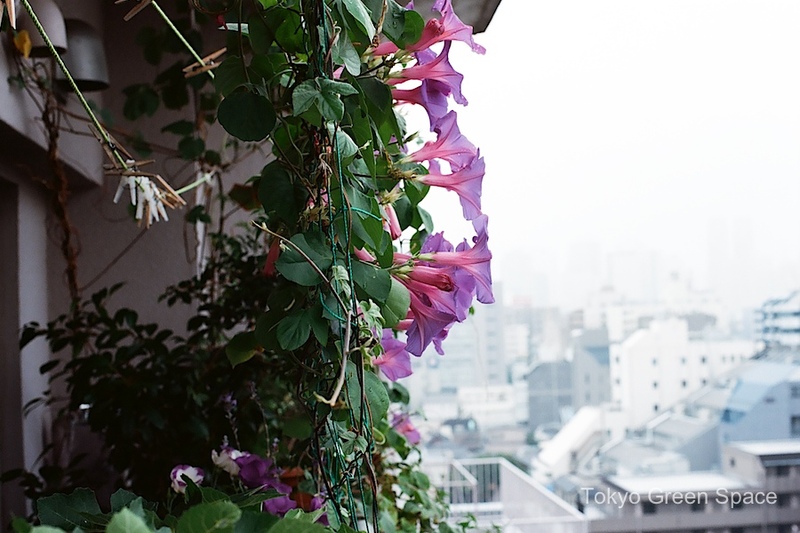 When it was blooming prolifically, the Okinawa morning glory became an exterior screen between the apartment and the city outside. The shades of violet, red and blue are stunning. What makes a home desirable? Who wants to Grow Best Life Stage? 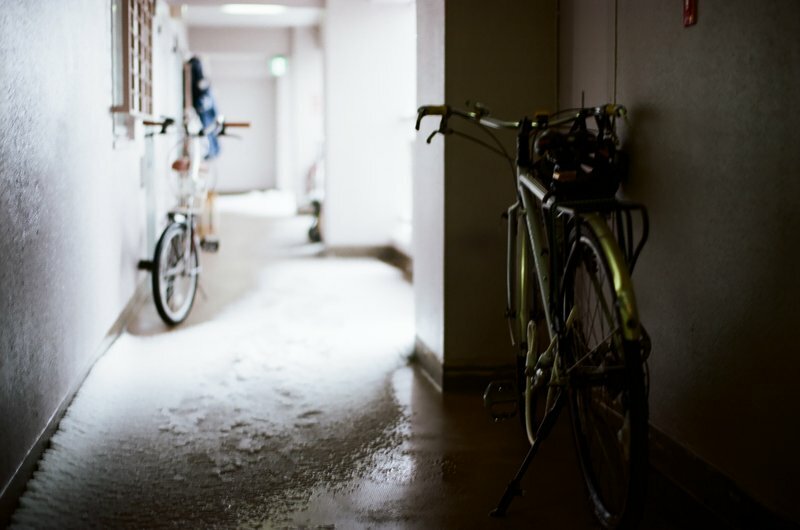 Recently I am consulting for one of Japan’s largest real estate companies seeking to attract residents to a waterfront area that many might not have considered before. 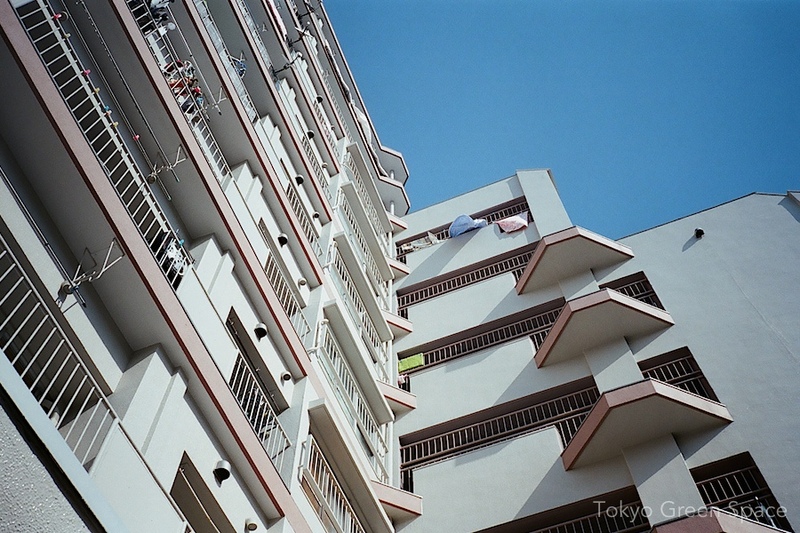 What makes an apartment or a neighborhood desirable? What architectural and landscape choices are most important? What are the trends today and in the future that drive consumer choice? As an English speaker in Tokyo, I am also always drawn to the selective English language marketing, often an odd English name for the property. This building advertised in the Sendagaya JR station has a name that has a certain logic, but which also completely fails as an English language name. 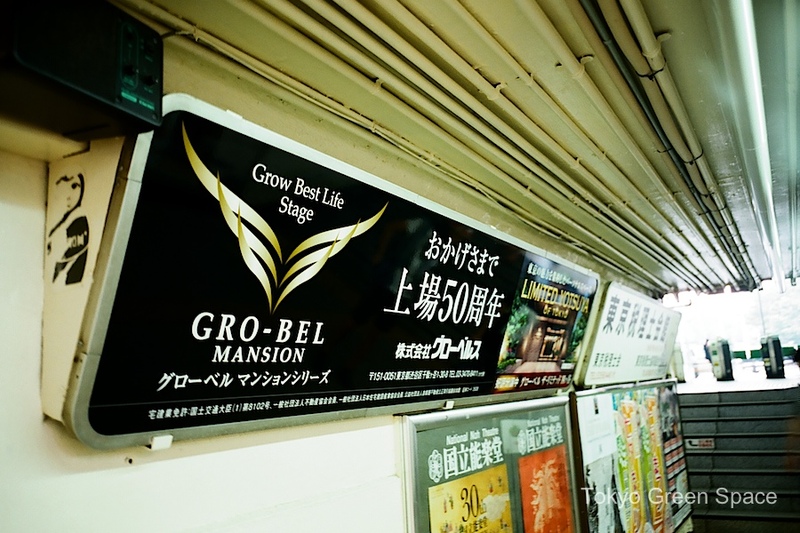 Yes, Gro-bel is a shortened form of “Grow Best Life Stage.” It’s also the Japanese pronunciation of the word “global.” What was meant as optimistic, modern and international, instead comes off as bizarre, stilted, and heavy handed. In this context, using English is more decorative than functional or expressive. 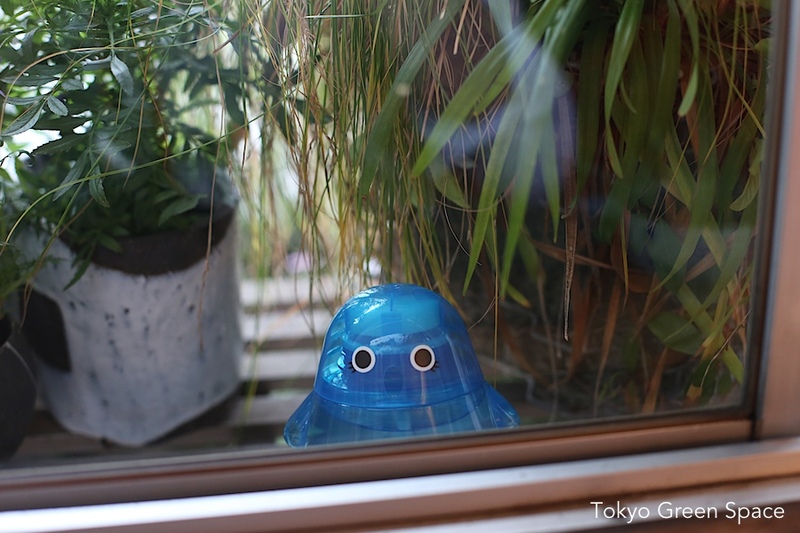 After a recent mosquito outbreak, we now have these adorable blue creatures providing a security barrier between us and outdoor pests. I find the creature’s alert expression particularly comforting. Those eyelashes are always wide open. 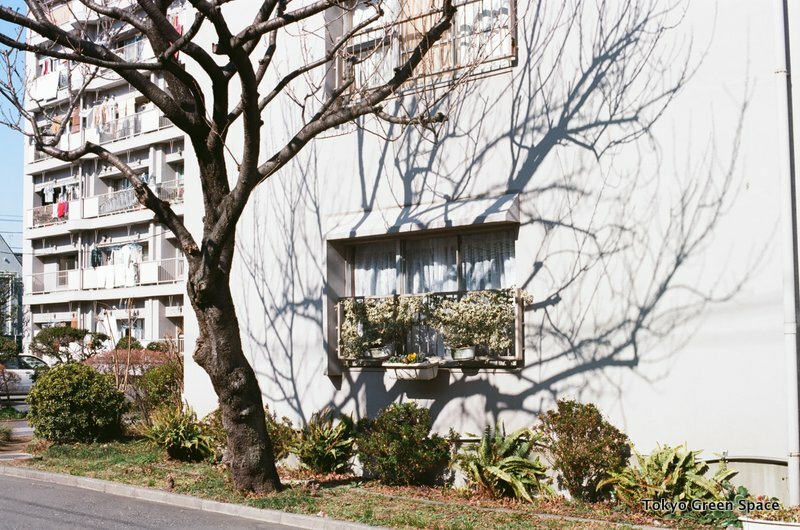 I love the shadow of this cherry tree that surrounds a ground floor apartment window. 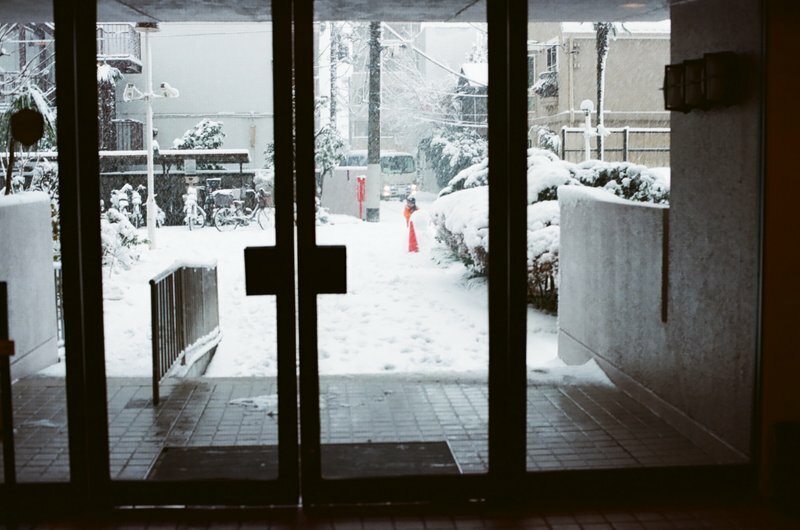 I am a bit of a shut-in during winter, but there’s something exciting about leaving the apartment lobby and entering fresh snow. It’s a solitary thrill.